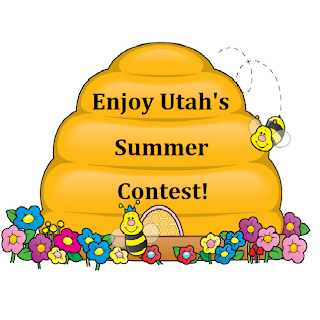 Get out and Enjoy Utah this summer, and you will be entered to win a gift basket full of donations from many locations around Utah! CONTEST CLOSED! Congrats to all of our winners!!! Add pictures to your album from around the state of adventures you have taken and things you have seen this summer. Pictures can be anything you have done this summer. Summer counts as starting on Memorial Day and ending on Labor Day. Make sure your photo album's privacy settings are set to "Everybody" and not just friends. If you don't want pictures of your kids included, then don't include them. Just take pictures of the building or the landscape! Send us the link to your album. You can do this by commenting on this post, posting the link on our Facebook page, or emailing us at contact@enjoyutah.org. Don't forget to include your name! Once we receive your link, we will post a link to it in the entries below. Make sure to watch for your name in the entries list to make sure we received it! You will receive one entry per each picture in your album. The more pictures, the more entries. Have you attended one of our Summer Adventure Series outings? You will receive EXTRA ENTRIES for any photo taken at one of our Summer Adventure Series outings, and posted in your photo album. Make sure for the extra entry that you link back to the page about the adventure! A winner will be chosen at random at the end of the summer. Deadline to take pictures is Monday, September 5th (Labor Day). Deadline to have pictures posted to your album is Monday September 12th. Stay tuned to Enjoy Utah! for MORE extra entries! For ideas of where to visit, check out our What To See In Utah page! VIEW A SAMPLE ALBUM HERE. Notice how when you click on each picture, it has the description and link to our site. Remember, you get extra entries for visiting these places and posting a picture to your album! more added as they are donated! And, most importantly, HAVE FUN Enjoying Utah! View the Facebook invite and invite all your friends to join us! Do I need to post a link every time I add a picture? No. Post one time with the link to your photo album. As long as we have your link added to the "Check Out Our Entries' Photo Albums" list below, you have been entered. Keep adding pictures over the summer. Entries will be added up and calculated at the end of the summer, and winner will be announced then. What if I don't want pictures of my kids all over the internet? If you don't want pictures of your kids for everybody to see (we do post the links to each person's album), then don't include pics of your kids. You can take pictures of the scenery, the buildings, etc. at the specific places. You can also use Paint of Photoshop to put black dots over your kids so that their identity is hidden. I had a fun adventure in Utah, but there is no post about this place on Enjoy Utah! Can I still use this picture? Absolutely! You can use ANY picture that was taken in any public place in Utah. If we have not posted about that specific place, email us at contact@enjoyutah.org and we will get a post up about it, or give you instructions of where to link to. You can also write up a guest post for us, and get triple entries per picture instead of one for doing a guest post! Email us at contact@enjoyutah.org. Do the pictures have to be taken this year? Yes. Any picture taken between Memorial Day and Labor Day of 2011 qualify for this contest. Is it Utah places only? Mostly Utah places only. IF it's a place we have posted about outside of Utah (for example, in our Family Vacation Series), go ahead and include it. If not, then no. Also, make sure you are leaving links on each picture to our post about that place. Can I post more than one picture from places? Does each picture count? Absolutely! If you post 5 pictures of one place, as long as they are different pics, it counts as 5 entries. Just MAKE SURE there is a link on EACH picture to our post about that place, and a main link to our contest page on the main album description. 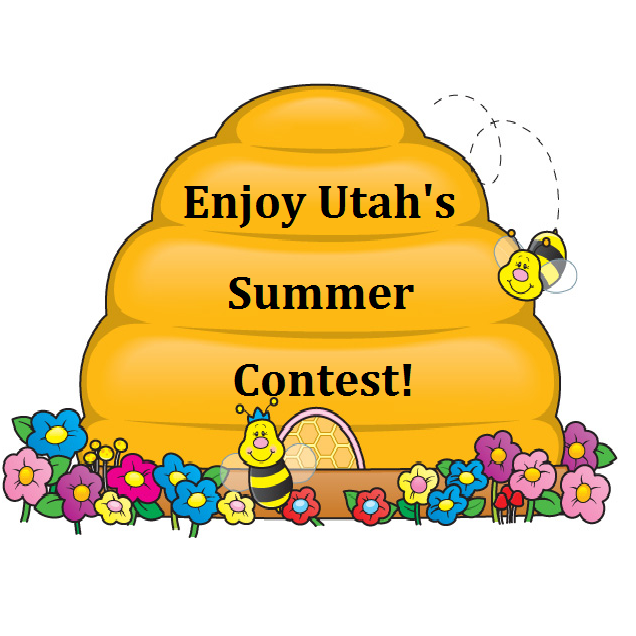 If you have any questions on this contest, email us at contact@enjoyutah.org. If your album is not listed here, I do not have you as entered into the contest. Email me at contact@enjoyutah.org with the link to your album so that you can get entered! Then, in the description of EACH picture, write where it's at, then put a link to our site of a post referencing that place. Ok, here's my album. I hope I did this right. I hope I did this right. Great contest! Is it Utah places only? CUz I have 1 picture in there from Idaho, Should I take that out? OK one more question...... Can I post more than one picture from places? Does that count. I am assuming yes but just wanted to check. Absolutely! If you post 5 pictures of one place, as long as they are different pics, it counts as 5 entries. Just MAKE SURE there is a link on EACH picture to our post about that place, and a main link to our contest page on the main albunm description. How do we know how many entries you have counted for our pictures? Will you send us a final count before the actual drawing? For example the Ogden Dinsouar park one I did, each picture is 3 entries right? How do I know if you have seen the latest pic. that I've added? Yes, I can send you a final count before the winners are chosen. I don't check the entries every day....only when I am ready to draw a winner for something. That's why I have the deadline as taking pictures Labor Day, then a week to get them posted and have me tally them up, then announce a winner. It takes some time to add them all up! :) I have a list of those that did guest posts and get 3 entries per one, and those that post pics from sponsors, receiving 2 entries per pic. I had no idea that people were going to post tons and tons of photos from one single event. I don't have the time to post enough photos and links to compete with those people, so you can just withdraw my entry. Yeah, I think it would have been more even, if you could only enter 1 or 2 pictures from each event. I mean, I put 6 pictures of one place just to try to compete - but I took 70 just at the princess festival - so if you really want me to enter all of those - I would be willing to take off pictures if there was a new rule that you could only submit 1 or 2 at the most of each event. I have pictures to add - so if you change up the rules, let me know. Thanks for the suggestions Jamey! This is our first year doing this summer-long contest, so I am DEFINITELY taking notes of what to do different for next year! I highly appreciate your feedback! That will definitely be something for next year, but for this year it's way too late to change the rules. I prefer photo contests that look for quality over quantity, so this is clearly not the contest for me. I'd much rather be out enjoying time with my kids than posting every blurry, poorly composed shot I took at an event just to add up points. Plus, I'd rather enjoy the event than have the camera attached to my face taking a billion photos just to win a contest. Sorry, that's just my opinion. Maybe if the rules are different next year, I'll consider entering then, but for now I think I'll delete my album. Thanks. Thanks Livy for all your suggestions! They definitely help us in coming up with our contest for next summer! Just so you know, this isn't a "photo contest", but an "adventure contest" and getting out and doing things over the summer. That's why I use random.org to choose the winners. Stay tuned next summer and maybe we will do an actual "photo" contest and maybe have readers vote on their favorite summer photo?! That would be fun!!! What do you think?! I feel the same way as Livy (?) and Jamey but I posted lots of pictures just the same. I think it is an awesome contest and I really enjoyed doing it. Plus the pictures I took will be Great memories later. But I was feeling discouraged when I saw all the pictures then and I just noticed that I forgot the link to my whole second album but I realize it is just a contest....in the end only one picture will win. So whether you enter 1 or 1000 it is just the luck of the draw. Thank you for the fun contest Michelle. I really enjoyed it and I learned a lot about some places too. Seriously, keep the comments coming, because with this being the first summer we are doing this, I have learned a LOT of what to do and what not to do next year! We all learn from our mistakes right! If it was a "photo contest" then there would for sure be different rules; but the point isn't who can take the best pictures, it's who gets out and enjoy's utah all summer long. Next year we can FOR SURE do different rules, thanks to all of your feedback, good and bad!!!!!!! I highly appreciate it, so don't ever feel bashful in posting a comment or feedback. I am tallying up the points this week, and when the random pictures are chosen is when I will check to see if all links are in place on the winning photos, so if your links are not in place, fix them now! Is it too late to add the link to my second album? I added the pics in time I just forgot to send you a link so just in case it isn't too late here is my link???? But if it is too late I completely understand.